Writing a resume is one of the most important challenges facing professionals and aspiring job seekers today as they seek a job. From my short experience, I have found that there is not one perfect way of writing a resume. I have seen many formats and have remained mind boggled as to which one I should be using while applying for a position. Eventually, I decided to take the best aspects of each formats and condense them into one suitable one. Thus over the years my resume was modified continuously and issued whenever I am requested. Every Wednesday, a bunch of flyers are delivered at my house with showing the latest deals from the shops in my vicinity. I find flyers amazing for the spot advertising that they do for the merchant. They basically show ‘just the relevant’ information regarding the products on sale each week. They are flashy, brief and convey the message in the most apt manner. More or less they guide the consumer into the intent desired from them by the merchant. Because anyone who follows these flyers into a shop, will in most probability end up purchasing more than they ever intended to, in the first place. I would like to consider our professional resumes as flyers advertising ourselves to any organization. Whenever a position is posted, the successful applicants who are invited to the interview are the ones with a resume that is the best fit for the posted position. Many HR screening programs screen the resumes for keywords from the posted position before shortlisting them. Most of the time, interviews are conducted based on the details mentioned in the resume since it shows what a prospective candidate brings to the table. Consider for a moment that the company is the consumer and you are the merchant with a flyer. Before a consumer purchases a product, there is an element of desire ‘to want that’ product. Then there is an element of economy, where you want the product so that ‘it fits within your budget’. Then there is an element of purpose-where you visualize what you need to be doing with that product. I think this is similar to how each company hires a person. You need to present yourselves in a manner so that the company sees you as one of their own. You need to be reasonable and humble with what you expect of the company. You need to provide that element of purpose so that the company has no other choice but to hire you inevitably. A similar relationship can be found in flyers. Your resume is like a flyer. It has to be written in a manner so that companies desire to hire you. From my experience, most of the time true impressions about oneself is generated by your resume. 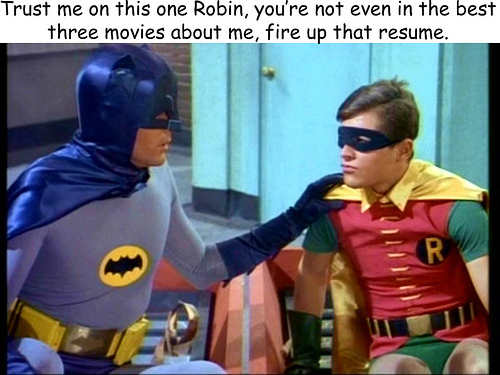 It is important to have an updated resume at all times. Every time before applying, one needs to ensure that all the keywords from the job advertisement are clearly captured both in the resume and in the cover letter. Always imagine of yourselves as the merchant selling the merchandise. You should ensure that you advertise yourself in a professional manner using a meaningful and purpose driven resume. As a continuation to my earlier post, where I mentioned about how I found my first job, I have tried to follow the above tips consistently. The power of tailoring your resume as a flyer so that companies desire to at least invite you for an interview cannot be denied.